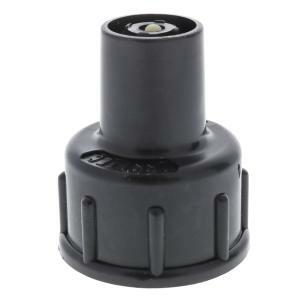 Use this flush valve cap to turn the Perma-Loc end caps into a flush valve. Simply remove the standard cap and replace with this flush valve. This item has standard 3/4" female hose thread connection. This low pressure valve allows water to flush out at system start-up with as little as 0.66 GPM (39.6 GPH) flow required to close the valve. The valve opens at shutdown when system reaches 0.87 PSI.